KILLINGTON -— Alpine competition has come to a close for the season, with Killington Mountain School student-athletes and alumni taking podium spots and performing well at a variety of races, including Nationals. Quin Taylor took the podium on March 26 in the Lafoley Spring Series GS at Loon Mountain, under bluebird skies. He laid down two solid runs against a strong field, including four or five collegiate athletes. Quin made the top ten overall and was on top of the U16 podium. The U19 boys still made the most of a GS double-header on March 30 at Sunday River, with everyone scoring or matching career best results and Bobby Ryan taking 11th overall in the second race. Becca Clarke also notched two top 15 results. Tanner Graves took the seventh place spot at Can-Ams on Sunday, March 29. 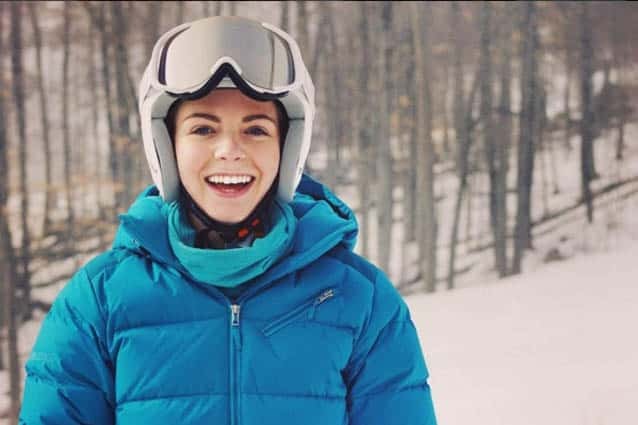 KMS alumna Katie Guest was on the the podium in France, taking second place in the Scottish University Games at Alpe d’Huez. The U19/21 and PG group wrapped up competition in Tignes, France, with some solid results and runs by Paul Ferri, Augustin Carracci, Cassidy Bebo, Ryan Znamierowksi, and Graeme Price. The U10-U16s were at Sunapee on Saturday for the Chip Gilroy t-shirt race. The day started off chilly and cool but the sun came out and things warmed up for some great racing and gathering under the KMS tent, with Dave Willis expertly running the grill. Lily Hogan and Ava Mattsson were at Sun Valley, Idaho, competing at U.S. Nationals, where they had some solid results among an elite field of racers. Lily took 23rd in a SL and Ava was 36th in the GS. To find out more about KMS, visit killingtonmountainschool.org.